Charlotte, N.C., June 24, 2011 – Former retail partners of Crosland LLC have formed Crosland Southeast to focus primarily on the acquisition and development of retail and multi-use projects. In addition, the former Crosland retail services group is teaming up with CNL Commercial Real Estate to form CNL Crosland Commercial Real Estate which will focus on leasing and management of retail, office, industrial and multi-use projects in the Carolinas, Virginia and Tennessee. Crosland Southeast is also excited to announce a long-term strategic alliance with CNL Financial Group for a $100 Million development and acquisition program throughout the Crosland Southeast geographic footprint. CNL Commercial Real Estate, an affiliate of CNL Financial Group, is a full service commercial real estate company based in Orlando, Fla., that represents clients in more than 25 states. By expanding its presence in the Carolinas with the addition of Crosland’s retail team, CNL Commercial Real Estate will operate offices in Orlando, Tampa, Jacksonville, Dallas and now Charlotte and manage and/or lease more than 9 million square feet in the Southeast. Led by 25-year veteran Susan McGuire, former members of Crosland’s retail property management and leasing team are joining CNL Commercial Real Estate to form Charlotte-based CNL Crosland Commercial Real Estate. The resulting enterprise will be a full service real estate company focusing on all product types and embraces the heritage and values of both companies. Crosland Southeast and CNL Crosland Commercial Real Estate will office together and jointly collaborate in the growth of their entire platform. CNL Crosland Commercial Real Estate will begin with 3 million square feet of assets under management and will continue to serve clients in North Carolina, South Carolina, Virginia and Tennessee. The team has over 50 years of experience leasing and managing large scale regional open air lifestyle centers, mixed-use town centers as well as smaller scale neighborhood shopping centers. CNL Crosland Commercial Real Estate will manage and lease existing assets such as Blakeney and Sharon Corners in Charlotte and Richmond Centre in Richmond, Ky., while continuing to also manage third party assets for institutional clients including Northwestern Mutual, Eastern Federal, Ferncroft Capital and Westwood Financial. “Our clients, tenants and shoppers will continue to see the same exceptional level of service that has been a trademark of our reputation,” said Susan McGuire, principal of CNL Crosland Commercial Real Estate. “We look forward to building our team and this platform with a broader product offering, geographic reach and capital”. Former Crosland retail veterans James Downs, Peter Pappas, Tim Sittema, Mike Wiggins, and Austin Williams are partners in the development, acquisition, construction and project management efforts under newly formed Crosland Southeast. The team has a combined 110 years of experience and developed over 10 million square feet of retail space during their tenure at Crosland. Focusing initially on new retail and multi-use development endeavors, the team has several projects already in various stages of development. Crosland Southeast will provide to CNL and its affiliates up to $100 million real estate opportunities through a strategic development and acquisition program within the Crosland Southeast geographic footprint. “This is a hallmark of CNL’s approach, partnering with best-in-class providers,” said Tim Sittema, partner in Crosland Southeast. “We are very excited about this new relationship and their confidence in our ability to deliver real value to investors as we identify, underwrite and execute quality developments and acquisitions with CNL”. Crosland Southeast has acquired Crosland’s interest as the new development partner for Stonebridge, a redevelopment of the former Cloverleaf Mall in Richmond, Va. The 83-acre multi-use development joint venture with Hutensky Capital Partners will start the first phase of construction in late summer. The first phase is anchored by a 120,000-square-foot Kroger Marketplace, which will be the largest Kroger in the state. Another development project of Crosland Southeast is Blakeney Square, which is the final stage of the popular 280-acre multi-use development in south Charlotte. Crosland Southeast will manage the redevelopment of Quail Corners in south Charlotte and shopping center expansions in Kentucky and Georgia. Additionally, the company is providing services as a preferred single tenant developer for select national retailers and opportunistically participates in value-added acquisitions. 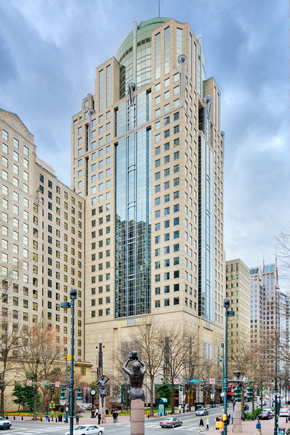 Crosland Southeast and CNL Crosland Commercial Real Estate will be moving their Charlotte office in the next 60-90 days. Crosland LLC has no ownership in either company. Crosland Southeast is a retail development firm whose partners have a combined 110 years of experience in the shopping center industry. The firm provides a broad range of services from single tenant development services to large-scale open air lifestyle developments and mixed/multi-use projects throughout the Carolinas, Tennessee and Virginia. Crosland Southeast’s retail development team was responsible for popular shopping centers such as Blakeney and Birkdale Village in Charlotte, N.C., Providence MarketPlace in Nashville, Tenn. and the Shops at Greenridge in Greenville, S.C. The company is headquartered in Charlotte and has a regional office in Cary, N.C.
CNL Financial Group, Inc. (CNL) is a leading private investment management firm providing global real estate and alternative investments. Since inception in 1973, CNL and/or its affiliates have formed or acquired companies with more than $25 billion in assets. CNL is headquartered in Orlando, Florida. CNL Commercial Real Estate offers a full range of commercial real estate services, including tenant representation, project management, facilities management, brokerage and advisory services as well as an investment platform. It operates in all sectors of commercial real estate, including office, industrial, multifamily and retail. A division of the firm, CNL Specialty Real Estate Services, is the country’s leading provider of faith-based real estate services and also serves not-for-profit and educational clients.